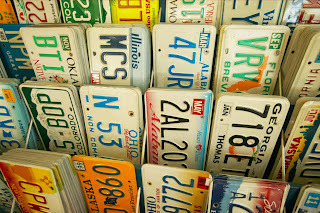 If you're a licensed dealer, the ability to place metal plates on your inventory is a privilege. Failing to keep track of these plates can leave your dealership vulnerable to liability and possibly civil fines and penalties. To solve the problem of demo plate management, you need to implement a method that keeps your staff accountable, secures your assets from unauthorized personnel and is convenient for your dealership. Internal theft costs dealerships nine dollars per employee per day. That's $280,000 a year for a 100-employee dealership! Employing an asset control system such as KeyTrak provides you with a 100 percent verifiable record of demo plate access. At any time, you can find out which salesperson has a specific plate and how long they've had it. According to Dealer Marketing Magazine, 70 percent of the money paid out by insurance companies to dealerships is related to lost demo plates. You need a secure way to keep your plates out of the wrong hands. It's recommended that you store your demo plates in a secure location, protected by a variety of login options, including a biometric fingerprint reader. While you can store demo plates separately from keys, it's less of a hassle to store all of your assets in one secure location where only authorized employees can access them. With keys and demo plates securely in the same place, salespeople have the ability to check out a key and a plate at the same time. A key and asset management system also eliminates the need for your sales staff to keep track of a stack of demo plates. Protect your dealership from liability by conveniently increasing security and accountability with a key and asset management system. What if purchasing an electronic key control system were like purchasing a new vehicle? In some ways, it is: You’re looking for a system that’s reliable, meets a set of specific specs and is backed by top-notch service. 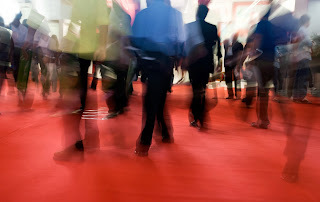 Most of the time, unfortunately, you don’t have the opportunity to take multiple systems for a test drive, so to speak, in a single day — except at the NADA Convention & Expo. As the industry’s largest event for new-vehicle dealers, NADA is the perfect time to select a new key control system, among other products and services, because you have the opportunity to see and compare multiple options at once. With more than 500 companies exhibiting at NADA, however, it’s crucial to map out a strategy to make sure you visit all the booths you’re interested in. If you’re in the market for an electronic key control system, here are some questions to ask to make the most of your time. Will the vendor visit your business to demonstrate a system and recommend a solution based on your business needs and future goals? Can the system and vendor grow with your needs? Is the software tailored to the auto industry? How do employees access keys and assets? What reports does the system offer? Can the system be accessed remotely? Do you have to install the system and train your employees yourself? What support services are offered after the system is installed? Can the company provide evidence of its reputation and qualifications? Does the system accommodate the number of keys and/or dealer plates you need to store? Once you’ve narrowed down your options for key control solutions, check out our automated key control checklist for a list of detailed questions to ask prospective vendors.